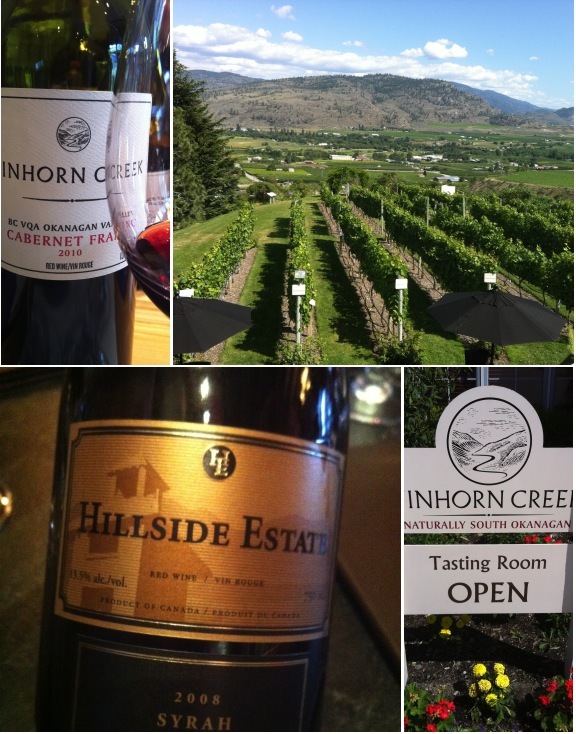 Come for the Wine: Okanagan: What’s The Signature Grape? Okanagan: What’s The Signature Grape? 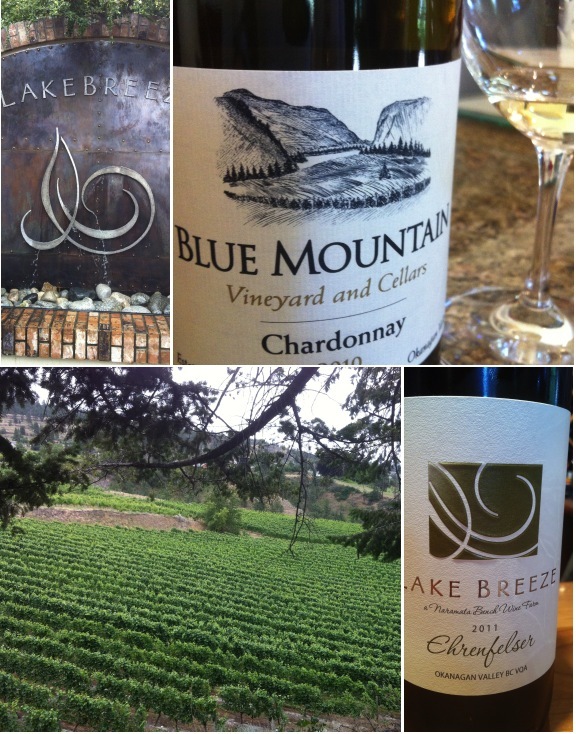 In July I traveled to British Columbia, Canada to the Okanagan region as part of a WBC 13 preview hosted by Travel Penticton and Wines of British Columbia. Naturally with four wine writers and our WSET rated host from Travel Penticton, the talk turned to what might be Okanagan’s signature grape. Some say it’s the Pinot Gris that thrives and delivers the best expression of the region. Crisp and bright, the full flavors benefit from the long summer days and the same rich soils that support so many of the fruit orchards the area is best known for. 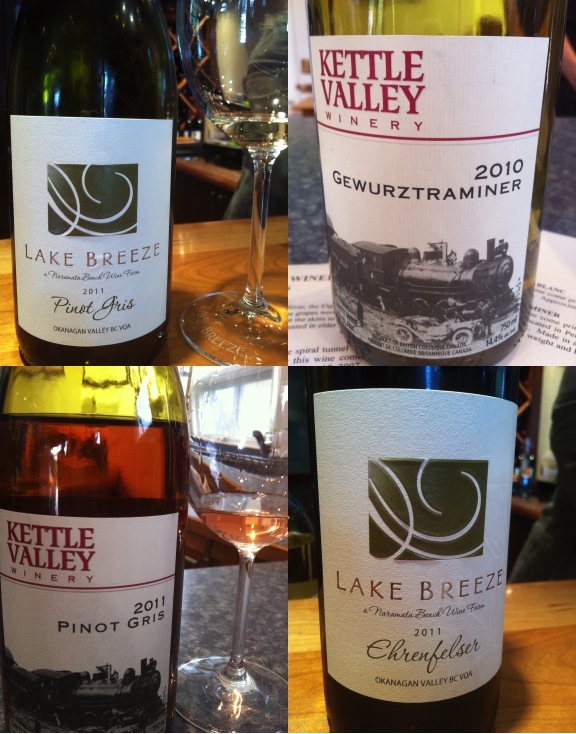 But what about Gewürztraminer? 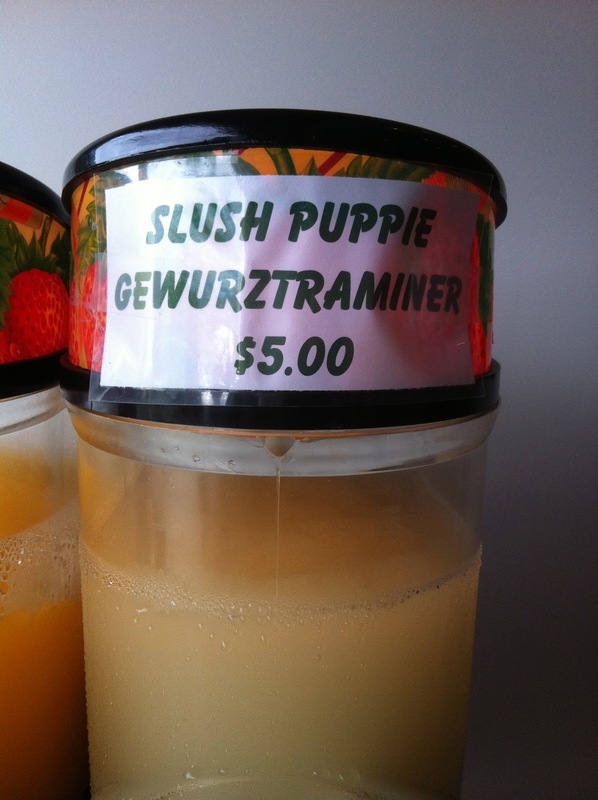 This is a good contender, most all of my favorite whites were Gewürztraminer and I have to give extra points for the sublime manner in which it “pressed into use” at Kettle Valley Winery in the form of Slush Puppies. 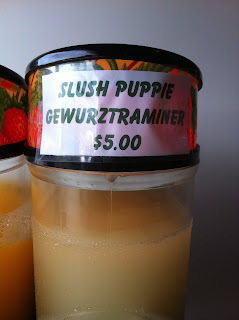 You have not tasted the joy enhancing aspects of Gewürztraminer until you try the delightful frozen concoction that is the Gewurztraminer Slush Puppy. Think slurppie of your youth, but with a decidedly adult twist. Another great white was an Ehrenfelser-- dry and peachy and zingy from Lake Breeze Winery. And you can’t rule out Chardonnay--Blue Mountain Winery had one of the most extraordinary Chardonnays I’ve ever tasted--Full bodied with a creamy-peach nose, bright acidity and great balance. Up here no one will give you a “sideways” glance for ordering Merlot. In fact it is one of the most widely planted grapes and one of the most successful according to my palate. Besides anyone who would let a fictional character define their wine preference needs to get a firm grip on reality. Repeat after me: Miles is not REAL! Obey your own palate. My favorites were from Painted Rock Estate, Township 7 and Poplar Grove. 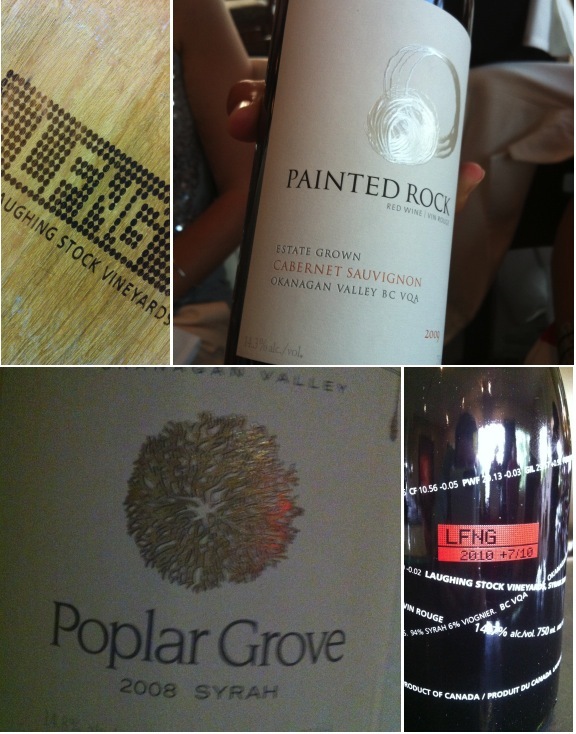 These Merlot’s were deep, dark and elegant with hints of sage and smoke and dark cherries. The 2006 Syrah I tried at Laughing Stock was the most Burgundian style I’d tasted and so you can’t rule out Rhone’s as a possibility. Pinot could be in the running too. 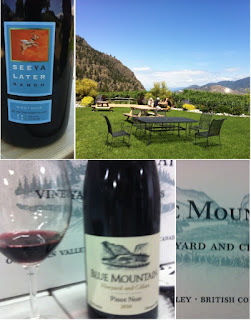 See Ya Later Ranch and Blue Mountain Vineyard both had excellent examples of what the Okanagan can deliver in terms of Pinot. But I think my vote might be for the Cab Franc. Normally used as a blending grape, I found the 100% Cab Franc’s I tried in the Okanagan to be rich and earthy with firm tannins and a wide range of flavors, from mint and spice to violet and blackberry. I especially enjoyed the Cab Franc from Tinhorn Creek and Hillside Estates. In fact I brought home a bottle of each. With so many wonderful grapes, it might be a mistake to try and pigeon-hole the Okanagan with just one designated grape. For now, the discovery process is in full swing and more wineries are experimenting with finding the outer limits of what the climate and soil can deliver for the best expression of the region. 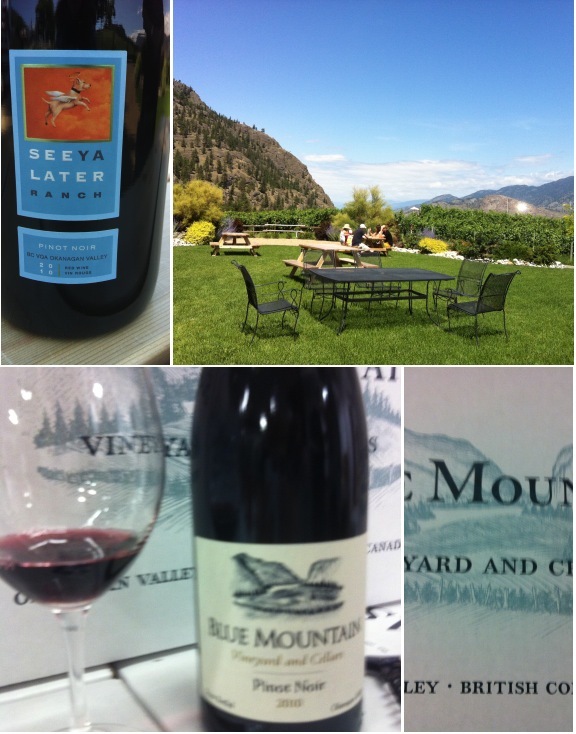 If you are planning to attend WBC 13 in Penticton make plans to arrive early or stay late to discover the region at your own pace and cast your vote on the signature grape. I'm not sure what this means...typo? But thank you very much for stopping by to leave a comment.